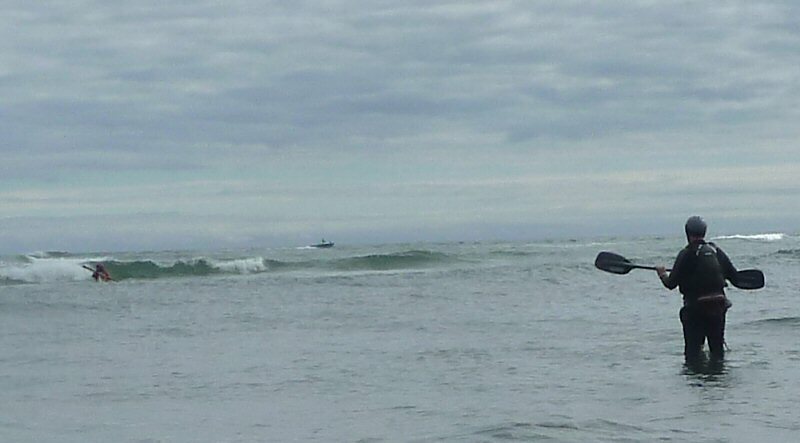 If people are interested in a surf class, I could put one on at the New Inlet in Scituate on a Saturday. Great venue to learn to surf, there are usually at least small waves on the outgoing tide. If people are interested I have included two dates for that work for the tides. Would like to keep this to around 5 people. We would work on tools for getting through the surf zone to land and launch without getting wrecked. I have a lot of experience from teaching this in Baja with NOLS. 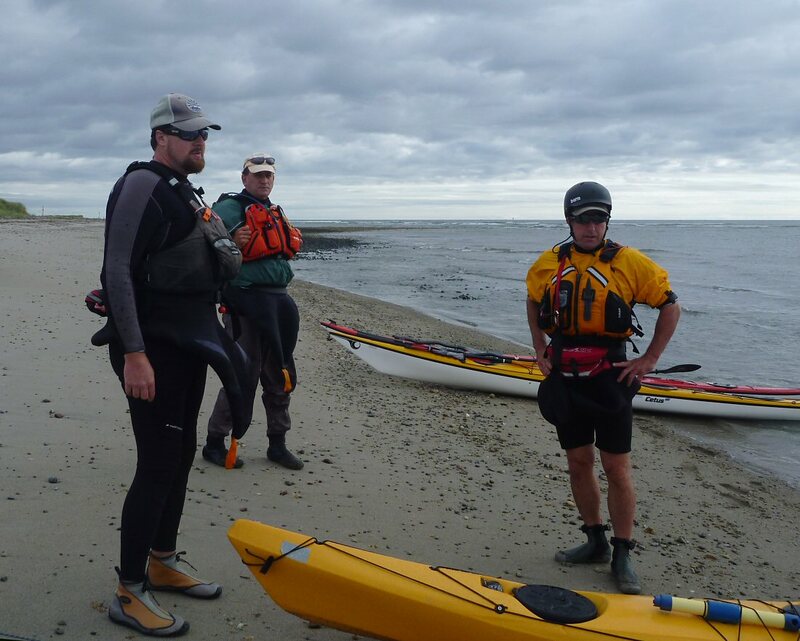 We will also work on how to surf a sea kayak, which would involve bracing in the soup zone while parallel to small waves, and progress to trying to ride waves in a straight line. I have experience teaching this as well. Saturday September 7th, meet at the driftway at 1 PM, ready to paddle by 1:45PM. Saturday September 14th, meet at driftway at 8 AM, ready to paddle by 8:45AM. Saturday October 5th, meet at driftway at noon, ready to paddle by 12:45. We would be on the water for about 4 hours depending on conditions. Please PM me if you are interested, or post here if you have any questions. I'll be charging $40 per person for this instruction. Requirements: Helmet, life jacket, spray skirt, kayak with bulkheads or flotation, clothing appropriate for immersion as you are likely to swim. I am very interested but, out of your list Saturday 9/14 is the only one that would work for me. We can see how many other people are interested and figure out the dates from there. I might be interested in the 14th also. I don't think I've planned anything for that weekend yet but gotta check my calendars at home. I'm expecting to attend. Quite a good deal from our own local expert, and at a venue that should suit just about anyone. 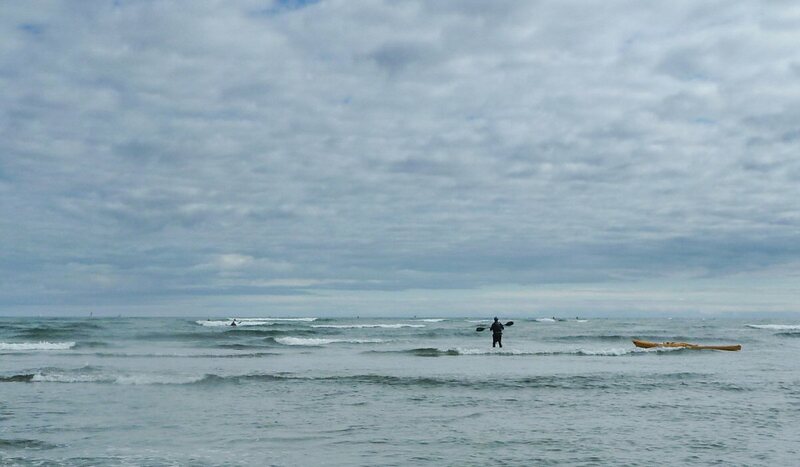 I'm in, looking forward to reinforcing a few new skills from last Saturday's surf class. I'd like to commit to attending this on the 14th too. I wasn't really clear about that before, so I just wanted to get added to the list if it's not too late. Thanks Norm, glad to have you aboard! That makes five, I'll post if a spot becomes available. Thanks everyone who signed up. At Hanson last night Tracey and I were talking about taking the class on Saturday October 5th, ( meet at driftway at noon, ready to paddle by 12:45). I'd be interested in a class on the October 5th date, too. An excellent day on the water! Great class taught by Johnnysmoke. I learned much that will come in handy and had a great time surfing. I did catch one wave and rode it quite a ways. I'd have been quite proud of this if I hadn't been trying to get OFF the wave and execute a controlled beach landing. I actually did quite well in the surf. Rule #1: Stay in the boat. Rule #2: When you break rule #1, surround yourself with people who know their rescue skills. So thanks to John for imparting his valuable knowledge and skills. Had a great time. My attitude was "No Falls NO Balls - or you Ain't Trying"
I didn't even see Nom take his camera out after we left the beach. Ken R wrote: I didn't even see Norm take his camera out after we left the beach. I took a record low 7 pictures today. Excellent class John - thanks! The order of the topics covered worked out perfectly for the skills we were learning. I'll feel much more confident in the surf zone now. Still need tons of practice, but now know the basics and have plenty of buddies that also want to work on improving the skills. Nice day for a swim too. Good to be on both sides of rescue practices in bumpy water. The best part was the props used to help visualize what you were explaining. Ken R wrote: "No Falls NO Balls"
Had a wonderful time, and I'm impressed by how well everyone did. I saw a lot of wave-riding and balancing in the surf. As I recall, everyone made it through without flippage, so I guess the system works! I had tons of fun, and learned a bunch, too! Thanks to John and everyone for a great day! 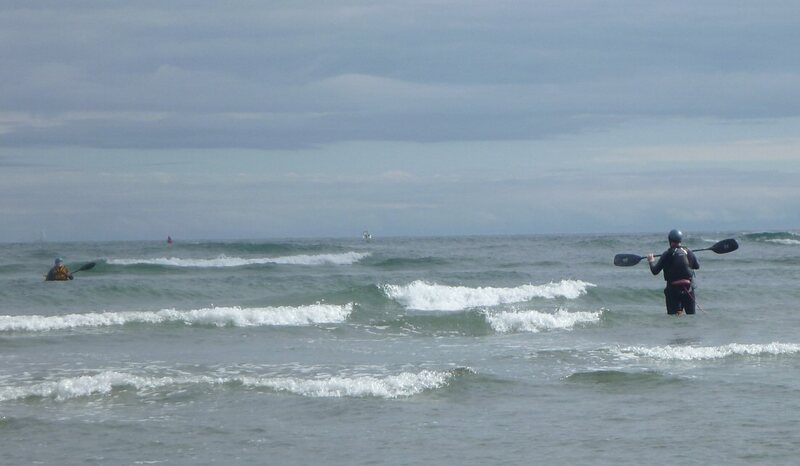 Thanks to Kate, Ken, Norm, Sue and Pat for coming out and making this surf class a success. Great to see people negotiating the surf zone so comfortably after just a short time out there. I hope everyone learned a lot, developed a feel and taste for the surf, and keep going back for more.